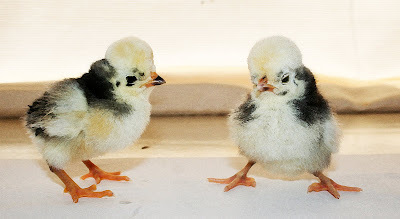 It started out as a simple trip to our local farm supply store and we ended up buy two more chicks! They got a large shipment in of a lot of different types of birds including the Polish Crested that my husband loves - what can I say, he has a thing for the Polish Gals. We aren't sure if we got two hens (fingers crossed) but if we did up with roosters I will make an attempt to find them a nice home before taking an other necessary actions . 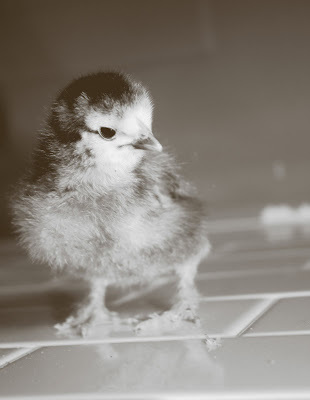 I kind of wish we waiting to buy all our chicks since their was such a larger selection - but live and learn. 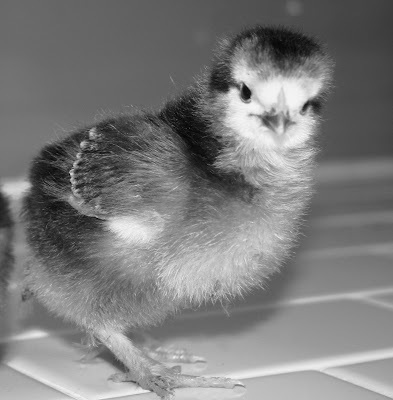 I still love my other ugly adolescent chicks and will love them more when they are out of my laundry room. Here is what they will look like full grown - you can see the appeal. 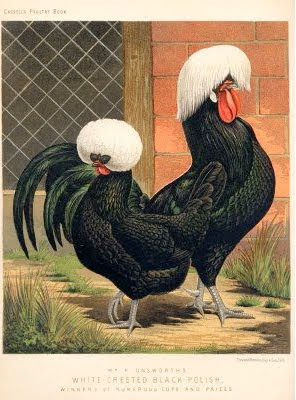 I love these old chicken prints. Here are my baby girls (positive thoughts). Right now I am calling them Elaine and Rose after two of my favorite Polish women. Hope they don't mind!! If they do mind I might call them Pierogi and Golumpki. This was my first attempt at felting. I used Lamb's Pride 85% wool / 15% mohair and used a single stitch crochet. As you can see it is supposed to be an egg. Here it is using the boiling water method. The irony of boiling a crocheted egg didn't pass me by. After waiting about 30 minutes I decided to put it in the washing machine on hot and then put it in the dryer. I can see a small difference but it is not the desired effect. I can still make out each of the stitches. Any ideas?? I stumbled across this article today which has me rethinking agave nectar...again. Here is a small snippet from the article. Madhava’s source is exclusively agave salmiana. 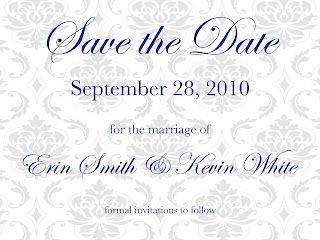 If you haven’t already reviewed our site at www.madhavasagave.com , you will find background information there. Briefly though, the native people supplying the juice collect it from the live plant, by hand, twice daily. There is no heat involved in the removal. The juice is immediately brought to the facility to remove the excess water as it will ferment rapidly if left standing. It is during the removal of the moisture that the only heat is applied. The juice is evaporated and moisture removed in a vacuum evaporator. The vacuum enables the moisture to be withdrawn at low temperatures. The temp is closely controlled. Subsequently, our agave is handled and packaged at room temperatures. No other heat is applied. And, rather than convert the complex sugars of the juice thermally, we use gentle enzymatic action. Just as a bee introduces an enzyme to flower nectar to make honey, we introduce an natural organic vegan enzyme for the same purpose. The technical term for the conversion of complex sugars into their simple sugar components is hydrolysis. Inulin is a fructan which is hydrolyzed into the simple sugars composing agave nectar, fructose and glucose. Honey is composed of the same simple sugars. So maybe I was misled before and instead of avoiding agave completely I should buy from a reputable local company. 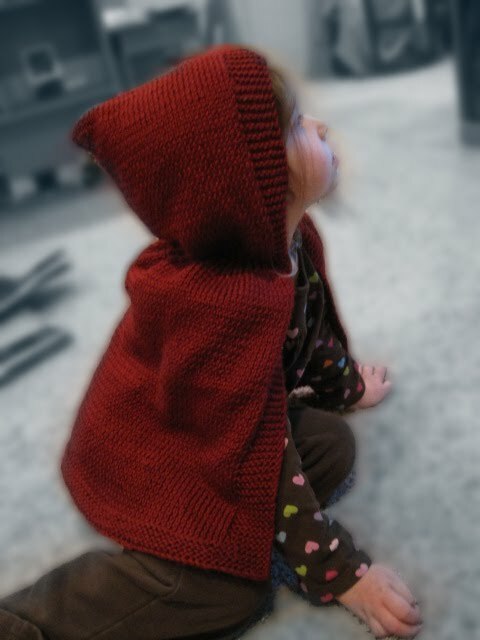 I made this Little Red Riding Hood Cape for my little friend's third birthday. I think I was more excited to give it to her than she was to open it but she looks adorable in it. I think next time I make it I will use a seed stitch for the edging rather than the garter stitch. I couldn't resist putting it on Gigi! Just a tad to big... I am in no hurry for it to fit her. I had this epiphany the other day while cleaning up the toys covering the living room - happiness and fulfillment are not the same thing. I can love and be happy being a stay at home mom, but that doesn't mean that it is all I need in my life. After chewing on that for a while I found the Happiness Project online and was intrigued. Gretchen Rubin had an epiphany one rainy afternoon in the unlikeliest of places: a city bus. "The days are long, but the years are short," she realized. "Time is passing, and I'm not focusing enough on the things that really matter." In that moment, she decided to dedicate a year to her happiness project. In this lively and compelling account of that year, Rubin carves out her place alongside the authors of bestselling memoirs such as "Julie and Julia," "The Year of Living Biblically," and "Eat, Pray, Love." With humor and insight, she chronicles her adventures during the twelve months she spent test-driving the wisdom of the ages, current scientific research, and lessons from popular culture about how to be happier. Rubin didn't have the option to uproot herself, nor did she really want to; instead she focused on improving her life as it was. Each month she tackled a new set of resolutions: give proofs of love, ask for help, find more fun, keep a gratitude notebook, forget about results. She immersed herself in principles set forth by all manner of experts, from Epicurus to Thoreau to Oprah to Martin Seligman to the Dalai Lama to see what worked for her--and what didn't. Her conclusions are sometimes surprising--she finds that money can buy happiness, when spent wisely; that novelty and challenge are powerful sources of happiness; that "treating" yourself can make you feel worse; that venting bad feelings doesn't relieve them; that the very smallest of changes can make the biggest difference--and they range from the practical to the profound. Written with charm and wit, "The Happiness Project" is illuminating yet entertaining, thought-provoking yet compulsively readable. Gretchen Rubin's passion for her subject jumps off the page, and reading just a few chapters of this book will inspire you to start your own happiness project. 1. Resist the temptation to be pulled into the mood of the "Debbie Downers" in my life. We all have that person that never seems happy and can find the negative in every situation. While I love these people I am going to do my best to remind them of the positive. 2. Remember that things that last and are important in my life don't happen overnight. Whether it is becoming a certified doula or learning a new skill (knitting/sewing/etc.) it will take patience. 3. I am going to start a one-sentence journal. I am sure there will be more but that is what I am starting out with. I feel like I am on a crafting binge lately. I see so many things I would like to try and can't see to stop myself. 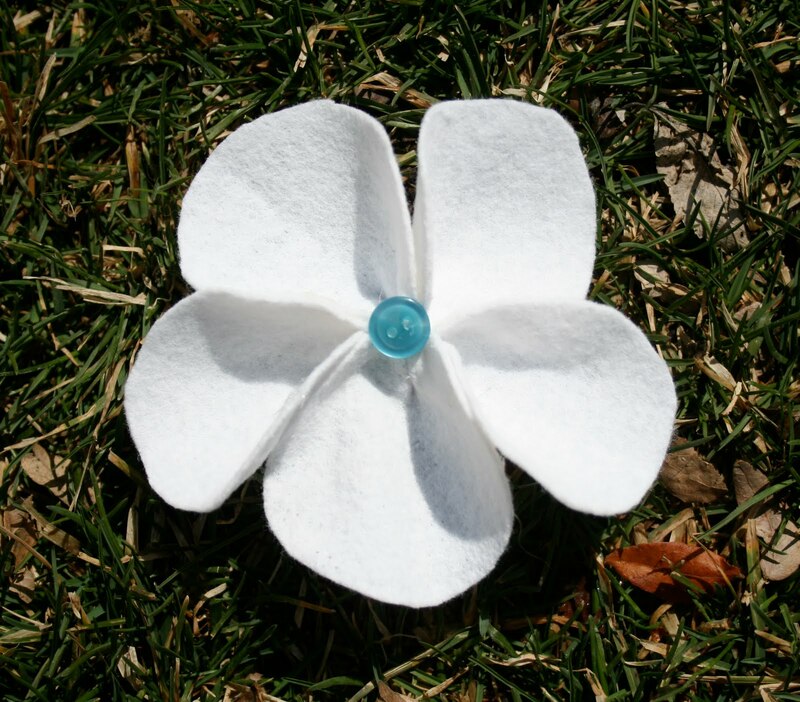 I found felt flowers online the next thing I know I found myself at the craft store picking out colors. Here is the first attempt. I first tried to sew the petals together but just couldn't get them to lay correctly. I busted out the hot glue gun, lost a couple finger prints and volia - a felt flower. I can see making a bunch of these and attaching them to a sun bonnet for Gigi. Read my update to this here! I thought agave nectar was a great alternative to using table sugar but the research I read this morning seems to have proven me wrong. 2. In spite of manufacturers’ claims, agave “nectar” is not made from the sap of the yucca or agave plant but from the starch of the giant pineapple-like, root bulb. The principal constituent of the agave root is starch, similar to the starch in corn or rice, and a complex carbohydrate called inulin, which is made up of chains of fructose molecules.Technically a highly indigestible fiber, inulin, which does not taste sweet, comprises about half of the carbohydrate content of agave. 3. Agave syrup is a man-made sweetener which has been through a complicated chemical refining process of enzymatic digestion that converts the starch and fiber into the unbound, man-made chemical fructose. While high fructose agave syrup won’t spike your blood glucose levels, the fructose in it may cause mineral depletion, liver inflammation, hardening of the arteries, insulin resistance leading to diabetes, high blood pressure, cardiovascular disease and obesity. 4. Agave syrup comes in two colors: clear or light, and amber. What is this difference? Mr. Bianchi explains: “Due to poor quality control in the agave processing plants in Mexico, sometimes the fructose gets burned after being heated above 140 degrees Fahrenheit, thus creating a darker, or amber color.” However, the labels create the impression of an artisan product—like light or amber beer. As consumers are learning about problems with agave syrup, the label “chicory syrup” is beginning to appear as a non-conforming word for the product. I encourage you to read the whole article. I know all sugars need to be eaten in moderation but I am definitely going back to using pure maple syrup and honey whenever I can. What do you use to satiate your sweet tooth? After much encouragement from my good friend Jayna, of RockyTopDesign, I have entered the world of wedding stationary. Here are my first designs. Pretty simple and not an actual invitation yet but I will get there. I decided to crochet a market bag since I have a ton of Peaches & Cream yarn. I found a pattern on Lion's Brand but pretty quickly stopped referencing the pattern and came up with this bag. I think I will try and write out my pattern. This one is made with mostly double crochets and then two bands of single crochets. The handles were a disaster but now that I know what I am doing the next one will be better - seems to be a reoccurring theme for me. Attempt number two at softie birds was a success in my book! 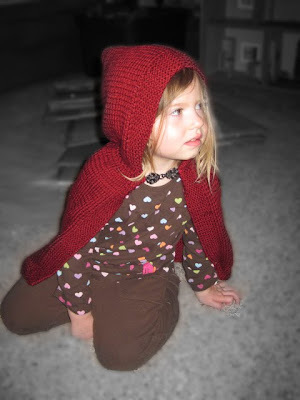 The pattern from Lollychops is totally adorable. They directions call for a weight in the rear-end area and I can see where that would be helpful in getting them to sit more upright rather than look like they are pecking for food. Call it practices, or the two cups of coffee, or not trying to sew at 9:00 p.m. after a long day, but I like these birds better. Random side note/questions - The thread from the bottom (bobbin-side) tends to bunch up and I don't notice it until I cut the thread and turn it over. Does anyone know what this would be happening? There was a time in the not so distant past where I could not crochet or knit anything that was not a square or a rectangle. I finally got over that block only to find that it has reared its ugly head again in my sewing projects. Today I tried to make these very simple birds from Spool Sewing. The little one was my first attempt - it was a little easier once I enlarged the pattern but I am still having a hard time getting their faces to look like faces. I have this great Geisha material I want to use to make them for Easter but I don't want to waste it until I am satisfied with the finished toy. On a side note - I also tried to make Wee Bunny today but he was such a disaster I couldn't even take a picture of him. I am hoping with enough perseverance I will eventually come to love my sewing machine, but for now we are more like office acquaintances. I would love to know what your favorite softie pattern is - send me a link or the name of a book you love. I think I might give this bird a go tomorrow. I don't think pampered chef will be offering this carrier any time soon. It worked great, none of the cones fell over. Maybe I should patent this design. We are going to the zoo tomorrow for one of Max's best friend's birthday. 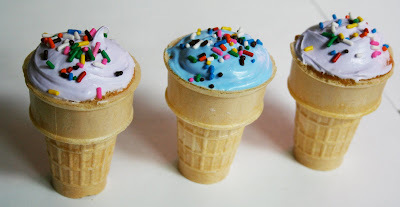 I thought it would be fun to make cupcake ice cream cones. My mom made these for me in preschool and I remember how excited I was to hand them out. 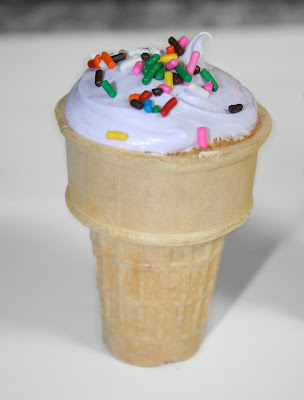 I usually overfill them when I make them but this time I just put in enough batter to fill the handle of the cone and it was perfect. I wasn't able to create the soft twist-look with the the frosting unless I wanted to use a TON so I opted for some sprinkles. For the birthday treat I made lavender frosting and the rest I frosted in blue so Kevin could more manly cupcakes to work - as I write this I realize how funny that actually is - manly cupcakes with sprinkles. I also figured out how to transport them but I will save that post for tomorrow. I should have paid more attention in Home Economics. I desperately want to learn to sew but don't understand patterns. I came across pillowcase dresses and thought I could make one out of regular fabric. I learn so much each time I attempt to make an outfit and this time the lesson was to sew the bottom piece on before I sew the edges. I ended up having to rip out part of it but I think it looks pretty good and I know my next one will be even better. I also need to shorten the ribbon but for the photos it was fine. I think she looks like she is doing the hula in this picture. Not that she isn't happy all the time but in this dress she honestly looked excited about it. The chicks will no longer be suffering from an identity crisis - We have the names. Thanks to everyone that gave me suggestions. I have a feeling more naming opportunities will be here sooner than we think. There has been a lot of jokes on my facebook page about what to name the chicks. So far one of the White Orpingtons goes by the name Frenchy but other than that I got nothing. Kevin says we shouldn't name them because they aren't really "pets" but I can't resist. Any suggestions other than your favorite chicken recipe? Meet the newest members of our family! This weekend we got two Light Brahmas and two White Orpingtons. I have wanted chickens for a long time and my husband came home last week and said it was okay, I don't think he knew that a coop would be needed sooner rather than later. Max loves them! I have never seen him sit and watch something for so long. On Sunday morning he woke up and the first thing he said to me was "chickens?"